Effective book introductions during guided reading set the stage for young readers to navigate new texts independently and successfully and often shape the outcome of small-group lessons. Many teachers grapple with what introductions might address, what to include, and how to conduct them. 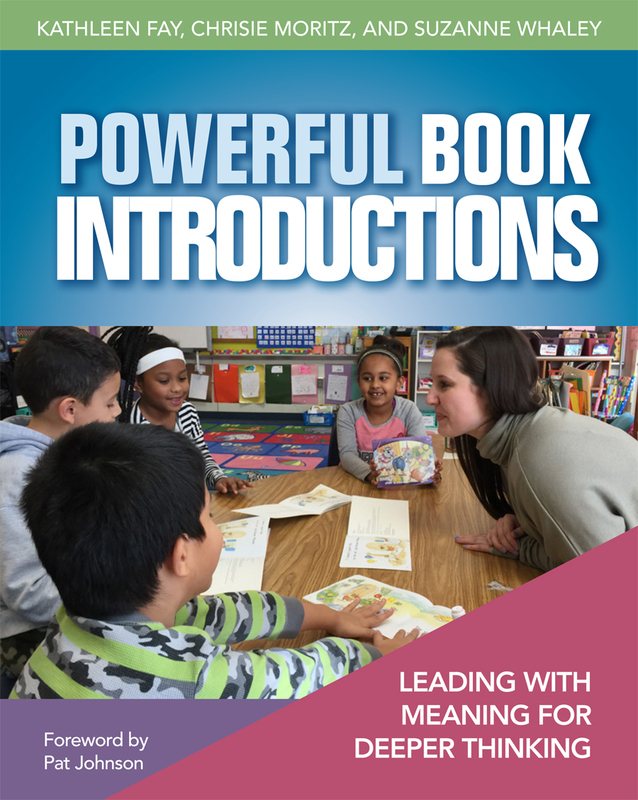 In Powerful Book Introductions literacy leaders Kathleen Fay, Chrisie Moritz, and Suzanne Whaley speak to these concerns by taking a close look at the purposeful planning that goes into preparing for this small but vital part of today’s guided reading lessons. introduce visual and structural information as a way to support your readers in meaning-making. No matter where you are in your understanding of guided reading, Powerful Book Introductions will help you as you learn to craft student-centered, meaning-driven book introductions that prepare your readers for success. Kathleen Fay has served as a classroom teacher, Reading Recovery teacher, Title I resource teacher, and Literacy Collaborative Coach since beginning her teaching career in 1990. Chrisie Moritz is a National Board certified literacy coach in Fairfax County, Virginia, where she teaches, facilitates professional development sessions, and coaches other educators. She presents at conferences and consults with school districts across the country on various topics related to literacy instruction. Suzanne Whaley is a National Board certified teacher in Fairfax County, Virginia, where she was a classroom teacher and literacy specialist for twenty-two years before working in central office. She currently leads the literacy professional development for reading specialists, principals, school teams, and teachers in her district. Chapter 3: Considering Meaning: What's It About? What Might It Really Be About?